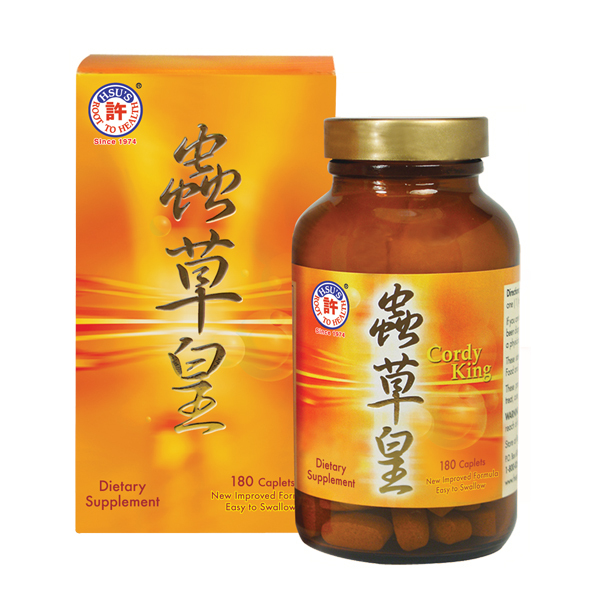 Hsu’s Root to Health introduces the Cordy-V, a new supplement product line made from Cordyceps mushrooms, in an easy to take caplet form. The Cordy King line from Hsu’s Root to Health uses a cultivated lab-grown Cordyceps that is similar to a wild Cordyceps. This product also features an essential B vitamin set of B1 (50mg), B2 (50mg), B6 (50mg) in additional to royal jelly. To see other Hsu’s Root to Health products Click Here. The cultivated lab-grown Cordyceps which is similar to the wild one can now be found in the form of a caplet in a new product from Hsu’s Root to Health.